There are three methods for creating new files in the vi editor: two of them create new empty files, while the other creates a copy of an existing open file with a new name. Double-click on the "Home" folder on the desktop and navigate to the file you want to edit. 2. 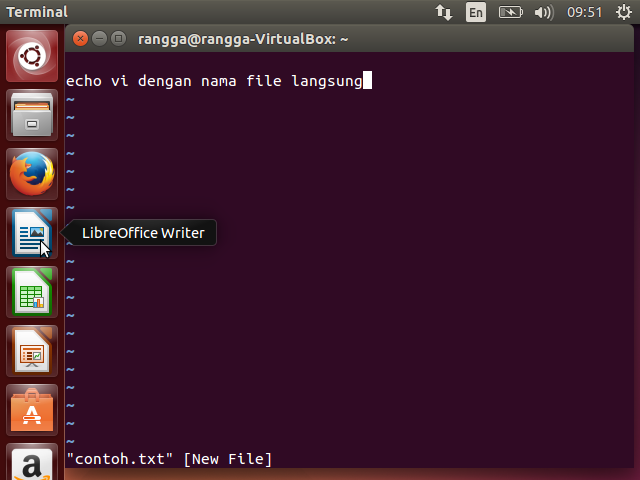 Double-click on the file icon to open the file in the Gedit text editor. When you run this command it opens up the file. If the file does not exist then it will create it for you then open it up. (no need to touch files before editing them) Once you enter vi it will look something like this (though depending on what system you are on it may look slightly different).